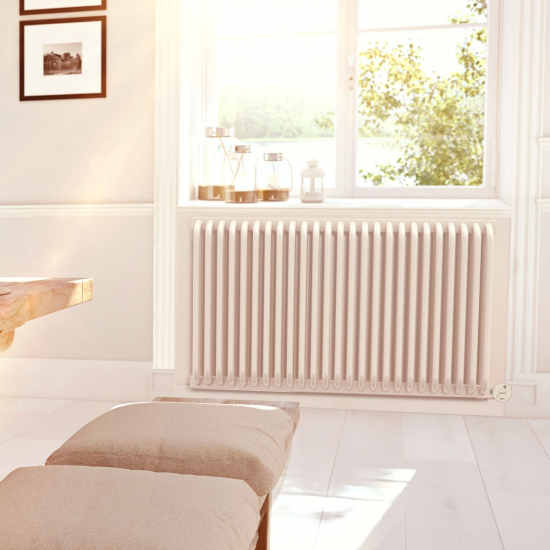 Terma Delfin E Designer Electric Radiators provide a graceful aesthetic that suits a range of contemporary homes, complete with gently rounded bars and a smart white finish. These designer electric radiators come with a sophisticated heating element that is Android & iOS compatible - offering smart heating for smart homes. Terma Delfin Designer Electric Radiators are the sophisticated choice for home heating, with their gently curved bar design, minimalist aesthetic, and controllable heating element. These versions of the Delfin are finished in white, with anthracite versions also available.